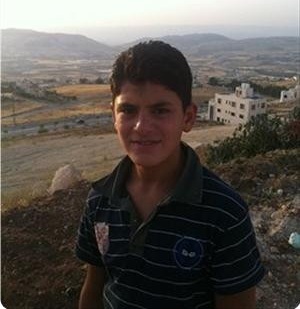 An 11-year old boy, Mohamed Abul-Hims, from Issawiya district in occupied Jerusalem was detained and interrogated on Sunday for four hours in Maskubia detention center, his father said. The child's father said he told the Israeli interrogators in the room that one of his son's eyes was bleeding, but they did not care and continued questioning him and pressuring him to make a confession about throwing stones at soldiers, according to Wadi Hilwa information center. The uncle of the boy also told the same center that the Israeli intelligence kidnapped his nephew Mohamed while he was in the magistrates' court in Jerusalem after the extension hearing against his brother was adjourned. The uncle added that Mohamed was interrogated for more than an hour in Maskubia detention center before allowing his father to attend the interrogation of his son. He noted that the interrogators hurled insults and vulgar remarks at the father and his son and accused Mohamed of throwing stones at Israeli soldiers in Issawiya district. Israeli occupation forces (IOF) broke into many homes in Issawiye village, north of occupied Jerusalem, and took away five kids including an 11-year-old child. 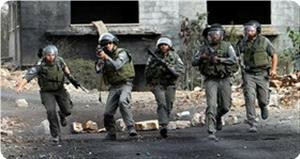 Locals in the village said that confrontations took place after the IOF stormed the village, adding that the soldiers fired tear gas and rubber-coated bullets at youths protesting the arrests. Meanwhile, an Israeli court extended the remand of 13 Jerusalemite teens and released two, all from the same Issawiye village. 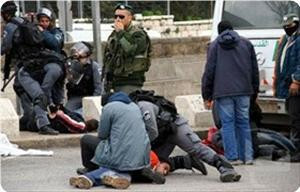 The Wadi Hilwa information center said that the teenagers were held in custody for few days ranging between two days to a week on charges of throwing stones at Israeli policemen. 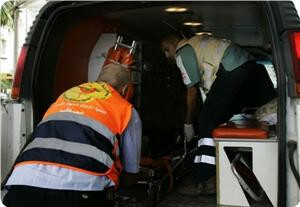 Two Palestinian kids miraculously survived after their exposure to Israeli military gunfire in the east of Gaza valley, the health ministry in Gaza said. Spokesman for the ministry Ashraf Al-Qudra told the Palestinian information center (PIC) the two kids were in a state of extreme shock and almost fainted because of the severity of the firing they were exposed to. 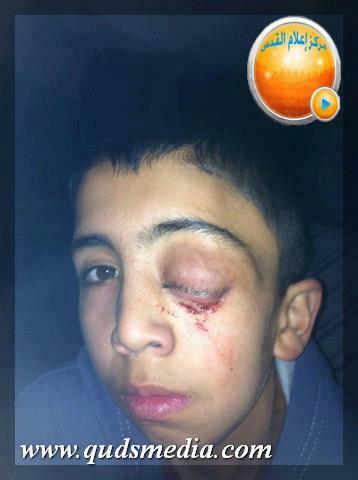 Qudra said that paramedics saved the two 17-year old boys and took them to Shuda'a Al-Aqsa hospital. In a separate incident, the Israeli occupation forces (IOF) arrested on Sunday evening two Palestinian citizens south of Gaza. An eyewitness told Quds Press that the IOF arrested the two Gazans after they crossed Kissufim military site to the east of Khan Younis. 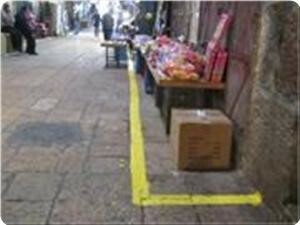 He added that Israeli warplanes overflew the area following their arrest, noting that they were unarmed. It is still unknown why these two men infiltrated into an Israeli military site, despite their knowledge that they could have been shot dead or arrested. Israeli occupation forces (IOF) stormed a number of villages in the Jenin district at dawn Wednesday after arresting two children near Arbuna village last night. Local sources said that IOF soldiers stormed three villages to the south of Jenin and served summonses to three citizens, including Imam of the Sanur village’s mosque, for intelligence questioning. The soldiers combed the nearby Maythalun village’s environs and set up ambushes in the third village, Jaba, and a roadblock on the Jaba-Sanur road. Meanwhile, a number of Palestinians were treated for breathing difficulty on Tuesday night after IOF soldiers fired teargas at civilians at the southern entrance of Jenin city. Locals said that the soldiers at a roadblock in the area detained dozens of vehicles and provocatively searched citizens prompting young men to throw stones at the IOF patrols. 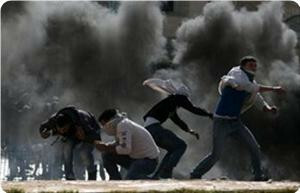 The soldiers fired teargas then withdrew from the site. In another incident, IOF soldiers kidnapped two children from an agricultural field near Arbuna village on Tuesday evening, local sources said, adding that the soldiers took Amin Bani Hassan, 11, and Mohammed Zuhair, 12, to an unknown location. 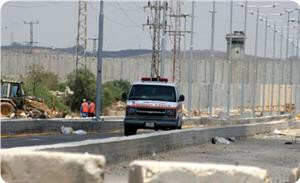 A number of young men in Madma village, south of Nablus, were injured on Monday night in an Israeli army raid on their village. The village’s municipality chairman, Ihab Al-Qut, said that confrontations erupted after Israeli occupation forces (IOF) shot and seriously injured a shepherd while rearing his flock of sheep near the village. He said that the shepherd, Mamun Nasser, was arrested despite his serious injury while two other young men were lightly wounded in the IOF heavy shooting of live and rubber bullets at the youths who were protesting Nassar’s detention. IOF soldiers also arrested another citizen, Sami Rifat, after storming and searching his home in the village. 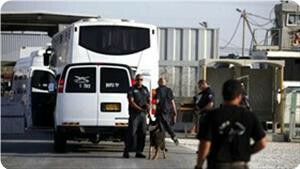 Israeli occupation authorities transferred two minor brothers from Kufrdan village, west of Jenin to a military court. The parents of the two children, Ehsan, 10, and Rajeh Abed, 12, revealed that Israeli authorities extended the detention period of their sons in Majedu prison and transferred them to a military court which to be held on Thursday. It's worth mentioning that Israeli forces arrested the two brothers while being in an agricultural land in Marj bin A'mer plain few days ago. The occupation authorities have transferred today two children from the village of Kafr Dan west of Jenin, to a military Court for trial, to join dozens of other Palestinian children held in the Israeli occupation jails. The family of the two detained children appealed to human rights organizations and to the international movement for the defense of children to immediately intervene and release the children. The family also revealed that occupation forces had arrested the two brothers from the agricultural lands in the area of Marj Ibn Amer a few days ago, and then had taken them to an unknown destination. 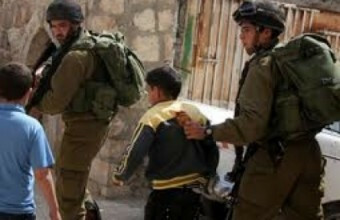 For its part, the international movement for the defense of children said that hundreds of Palestinian children, under the age of 18, are held in the Israeli occupation prisons, and are exposed to different forms of torture. The Israeli Kaplan hospital has expelled a Palestinian girl, Lin Hassan, who has been suffering from cancer in both her kidneys despite her treatment was not completed. The child's mother said in a statement on Saturday that immediately after her daughter started receiving treatment, she was surprised when the hospital administration informed them of the decision to stop all treatments for Lin. 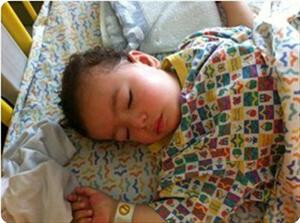 She said that her child was scheduled to be operated on for the removal of the tumor, but the hospital administration expelled her because the Palestinian Authority did not pay the dues of Lin's previous stay in the Israeli hospital. Lin's mother confirmed that her daughter's health condition is getting worse after they have returned to their home in the Breij refugee camp in the central Gaza Strip where there is no cure for the little child. Child Saddam al-Jaabari family, 13, appealed through Ahrar center for Prisoners studies and human rights, all human rights organizations and childhood institutions, to save the life of her son who has been detained by the Israeli occupation forces since five days. Abu Rajai, the captive child's father, said to Ahrar center, that the Israeli occupation forces detained his son in Ofer prison, where his trial was postponed on Sunday. 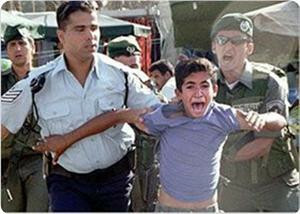 For his part, Fuad Al-Khuffash, the center's director, denounced the Israeli heinous crimes against Palestinian children, and called on all institutions concerned with child rights to save the life of Saddam al-Jaabari, and protect all children detained by the Israeli occupation forces. Khuffash said that Saddam is the youngest child in Israeli prisons where he was detained under extremely harsh conditions and they did not allow him to wear the appropriate clothes in this cold weather. Saddam was born on 1999, he is the seventh son in the family, where his family was surprised when the Israeli authorities informed them of his arrest on Saturday morning claiming that Saddam was near the Ibrahimi Mosque and that he threw a knife on one of the soldiers who were there. Inhabitants in a suburb in the Mount of Olives in occupied Jerusalem confronted Israeli occupation forces who tried to arrest a child for allegedly throwing stones at a settler’s car. Eyewitnesses said that the confrontations on Monday night led to the arrest of Nabila Al-Sa’o, 38, and her two daughters Tamara, 16, and Tamrelin, 15, along with two other citizens. They said that the soldiers tried to arrest the lady’s child but when she resisted they sprayed her with pepper gas and took her away along with her two daughters. The witnesses said that the soldiers savagely broke into the woman’s home after firing stun grenades and teargas canisters inside it. They added that the soldiers broke the windows of many houses in the suburb and assaulted a number of citizens. Israeli soldiers kidnapped, on Thursday evening, four children in Ash-Shuhada’ Street, in the center of Hebron city, and the nearby Beit Ummar town, in the southern part of the West Bank, and released two of them later on, but refuse to release the remaining two. 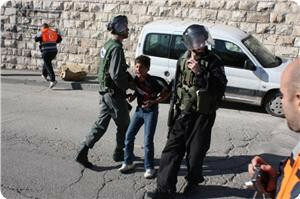 The Palestinian District Coordination Office (DCO) in Hebron stated that two children who were released have been identified as Sanad Da’na 13, and Nimir Idrees, 13, were both released and were handed to the DCO. The DCO added that the army is still holding captive two children from Beit Ummar and is refusing to release them despite the fact of an understanding between the DCO and the army to release any child who gets kidnapped by the soldiers. Jewish settlers accompanied by Israeli occupation forces assaulted a 70-year-old Palestinian farmer while tending to his land to the east of Bethlehem on Saturday. Hassan Breijeh, an anti-wall and anti-settlement activist, told Quds Press that the farmer Ahmed Miheimeed was planting seeds in his land in Firedees area to the east of Bethlehem when he was attacked. He said that eight soldiers and two settlers attacked the old man and threatened to kill him if he did not get out of his land.